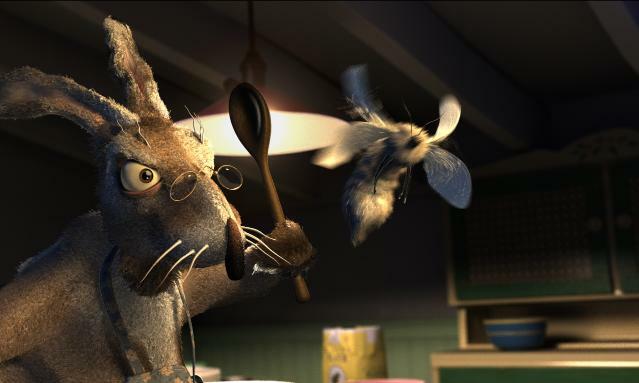 An elderly bunny tries to bake a cake, when she’s being disturbed by a giant moth. With Pixar’s ‘Geri’s Game’ (1997), ‘Bunny’ is one of the first computer animated shorts that make you forget you’re watching a computer animated film. With its quite original story and its beautiful execution, it transcends the medium, and its deservedly won the Oscar for best animated short in 1998. Chris Wedge and his Blue Sky studio (founded in 1987, by Tron-alumni) later moved on to produce feature length computer-animated films, becoming the fourth American studio to do so, after Pixar, PDI/Dreamworks and DNA Productions. It would be especially successful with its Ice Age films. However, none of the sequential Blue Sky films would reach the emotional depths of this gentle little short.